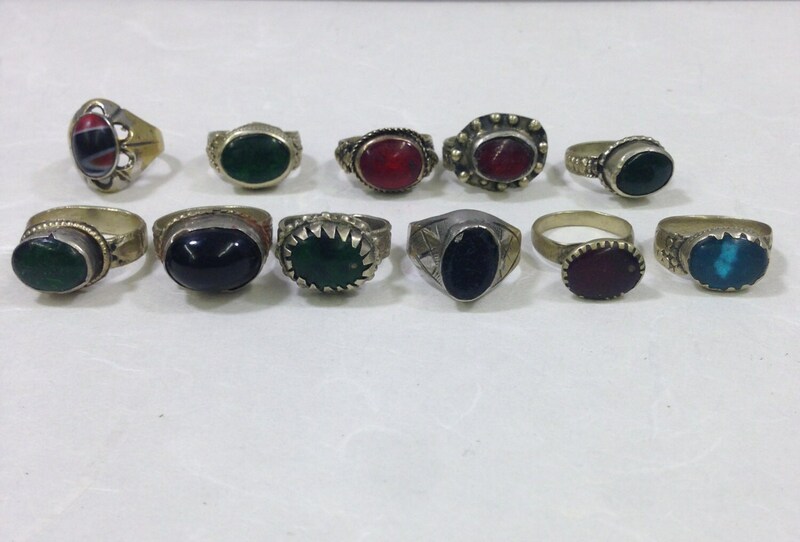 There is a Black Oval Glass Middle Eastern Kuchi Tribal Ring. 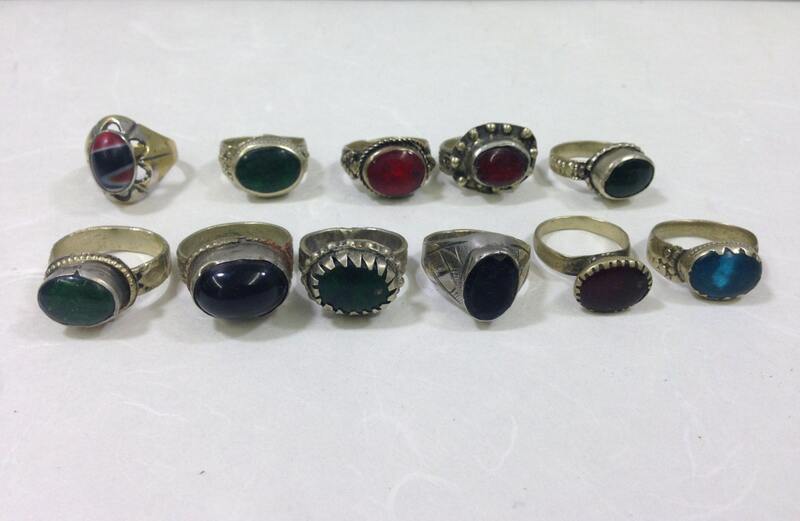 These rings can be worn by a man or a woman and are fun to wear and always the conversation piece. The Kuchi are a nomadic group of people living throughout Central Asia who have traveled freely across international boundaries for centuries. Kuchi jewelry and clothing is renowned for its vibrant energy, exuberant designs, and flamboyant spirit. It is alive with color and over-the-top embellishments, This jewelry is especially popular for dance and daily wear, combining the vitality of the multiple cultures and traditions that the Kuchi people visit in their wanderings. This antique ring was handcrafted by the Kuchi people, and hand carved in traditional Kuchi Tribal designs.The metal they utilized is commonly known as German silver or gilt. Kuchi jewellery is passed down from generation to generation each having a significant story, hidden in the villages. Their jewellery is exchanged or sold in order to purchase products of settled life. Each piece is unique, it sparks vibrant colors giving their style a eccentric look. A great gift for anyone.